At a recent family meal my nephew was bemoaning the difficulty of getting back in the way of studying after taking a year out to gain some work experience. I’m afraid I just laughed – and told him to try it after 28 years. Because that’s the gap between my first graduation (in English Literature from Edinburgh) and the decision to study for an MLitt in children’s literature at Newcastle. So why did I decide to do it? Of the many reasons, the first impulse probably came from children’s books themselves. A long-time collector and enthusiast, I had agreed to give a paper at the Fourth Bristol Conference on Twentieth Century Schoolgirls and Their Books this summer. My talk was on the Drina books by Mabel Esther Allan (written under the name Jean Estoril), a series about a young girl’s fight to learn to dance and subsequent rise to become a ballerina. The books were written between the 1950s and 1990s and most were updated once or twice. 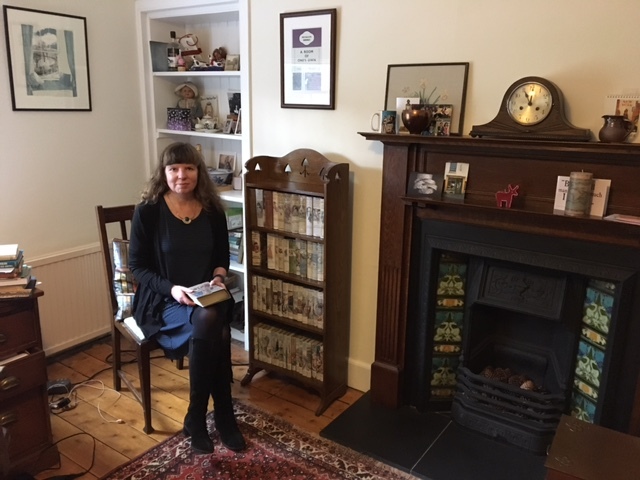 What fascinated me was how the books unwittingly provided clues and evidence of the social and other changes that were going on in the second half of the last century – from the building of the Forth Road Bridge to whether it was okay for young girls to go out without a hat and gloves. I thoroughly enjoyed doing the research for the paper and realised that it made me feel very alive – as if my brain was working in a different way, and waking up an enthusiasm I hadn’t felt for a while. It almost felt like a drug and I wanted more of it. A couple of people asked afterwards whether the paper was part of a formal research programme, which probably planted the seed, but there were other reasons too. Like a lot of people, I’d often vaguely thought about studying for a second degree. I lived through my husband’s PhD (as a mature student) a few years ago so knew it was no sinecure, and had thought it might be something I’d like to do when I retired. But a couple of wake-up calls (in terms of friends’ and colleagues’ early deaths or illnesses) made me think that waiting wasn’t the best plan. Plus, although I enjoy my work (as a freelance journalist and health writer) I’ve been doing it for a long time. All in all, change was in order. Having made the decision, I then started looking around for the best course. Living in Highland Perthshire, I checked the Scottish universities first, but the only children’s literature courses seemed to be hooked in to education departments, which wasn’t really my interest. A friend suggested a distance learning MA in children’s literature in the south of England, but the content of the course didn’t particularly grab me – then another friend mentioned the MLitt at Newcastle; it sounded very good. I’d already checked out the Newcastle University website, partly because I’d heard about its collaboration with Seven Stories, the National Centre for Children’s Books, and partly because I know and love the area having worked on one of the local newspapers 20 years ago (although I must say the city has transformed since then). The beauty of the MLitt, or so it seemed to me, was that I could structure it around areas that fitted my interests, rather than what some great authority thought should be part of a children’s literature degree. The course involves writing three or four shorter research assignments totaling up to 24,000 words, then a dissertation of the same length, in a year full-time or over two years part-time. It was also, somewhat to my surprise, given that there is a lot of contact with a dedicated tutor, cheaper than even distance learning options elsewhere. This was a consideration as I’m self-funding. 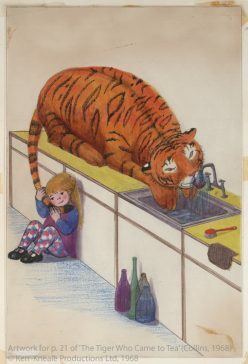 Did you know Seven Stories is a member of IBBY, the International Board on Books for Young People? 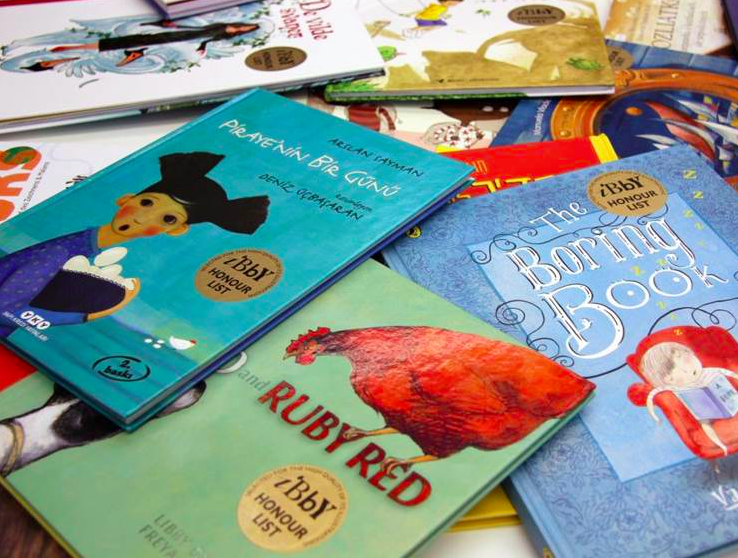 Earlier this spring CLUGG had the opportunity to explore the latest IBBY Honour List. Learn about it on the Vital North blog. Books from the IBBY Honour Collection. Image: Newcastle University. Thanks Jennifer this was just the post I was looking for . I also live in Perthshire and would be interested in postgrad study in Newcastle. Can I ask will you be commuting for the course? Thanks for taking the time to comment. Yes, I’m commuting! My nearest train station is Pitlochry and there is one direct train in the day to Newcastle – I’ve been very quick off the mark at booking tickets when they first go on sale, and have done it for as little as £10 each way – I actually find the train a really good place to work. My supervisor has been really great about fitting my supervision sessions around other things I need to be in Newcastle for (you have to do a ‘research matters’ module, and the CLUGG meetings are really helpful, so I try to get to them). What area of children’s literatures are you interested in? Please do email me on j.shelley2@newcastle.ac.uk if I can be of any more help, or contact the department – I found everyone really approachable.